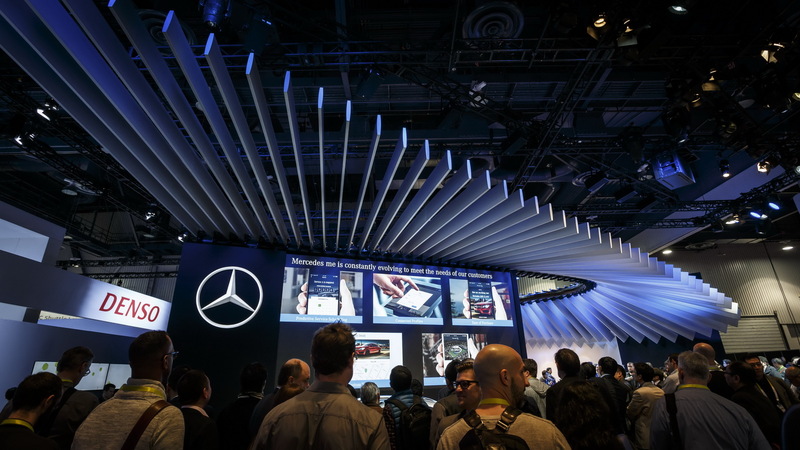 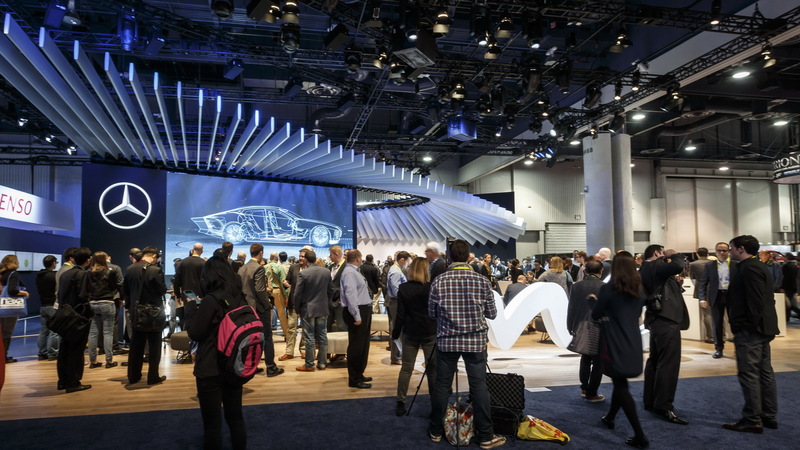 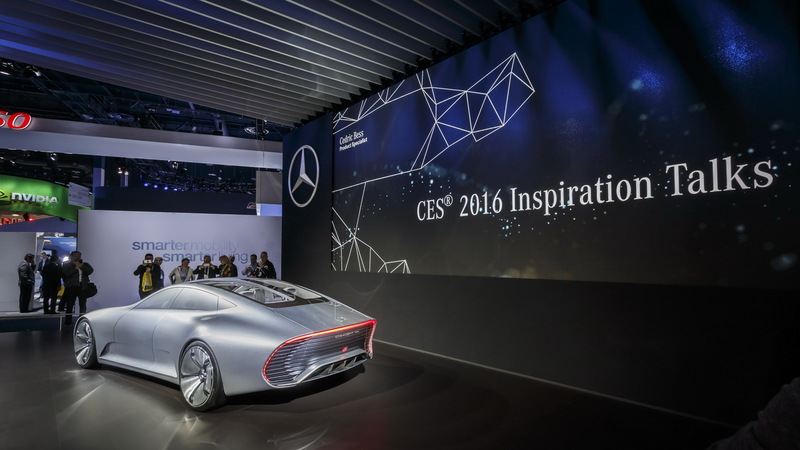 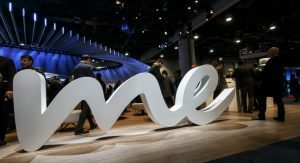 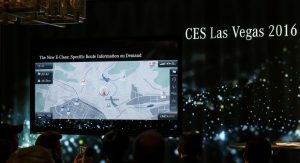 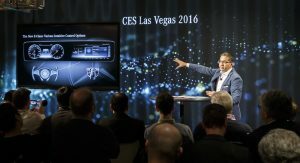 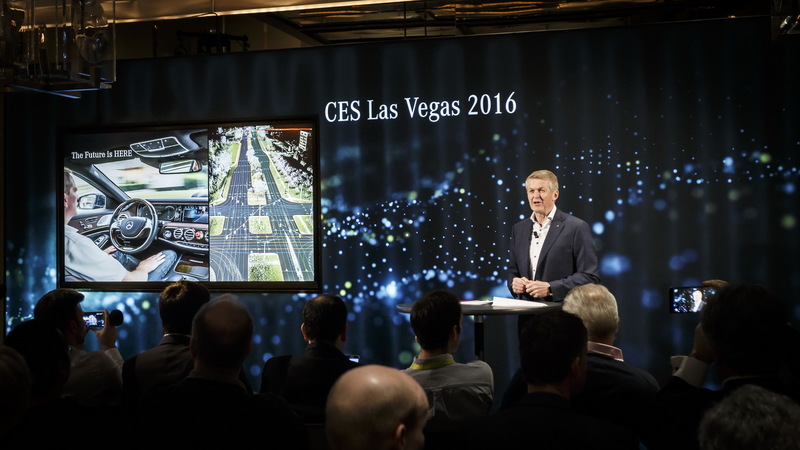 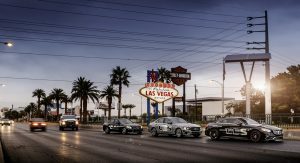 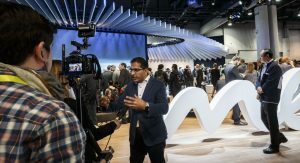 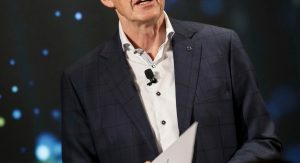 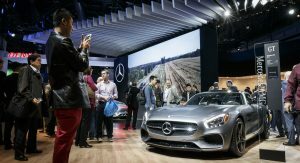 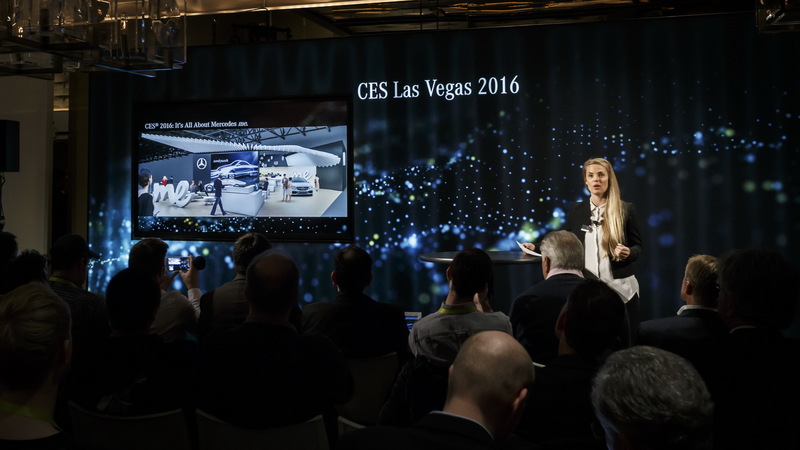 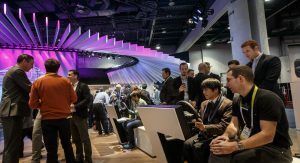 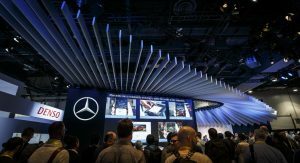 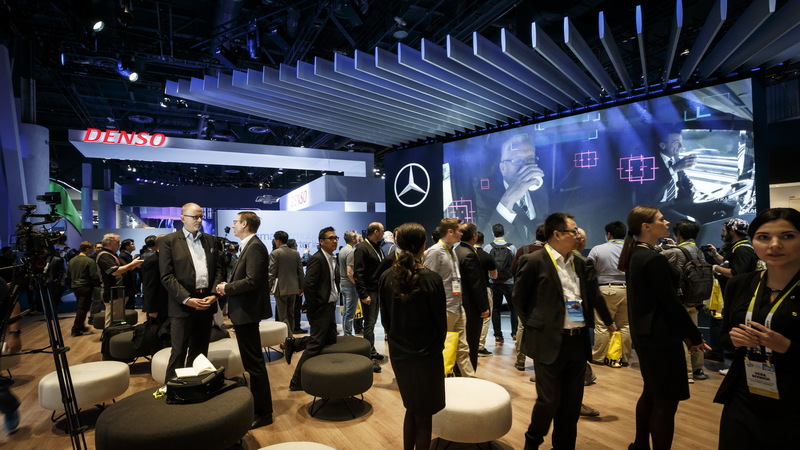 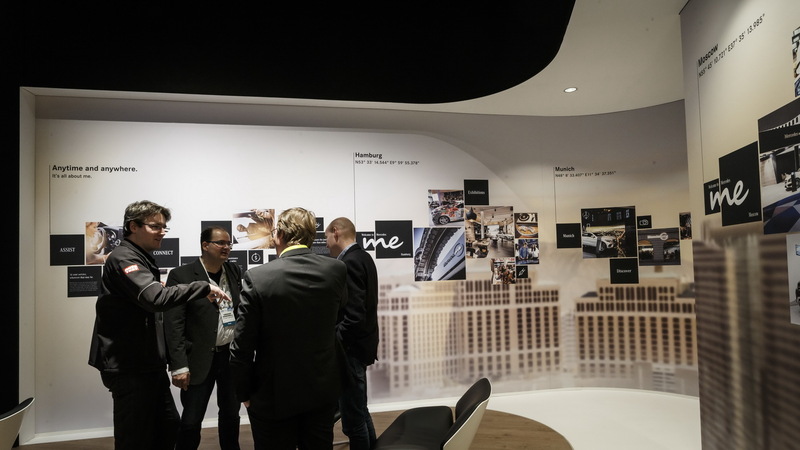 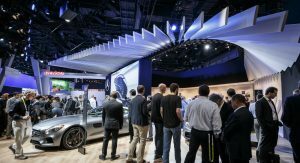 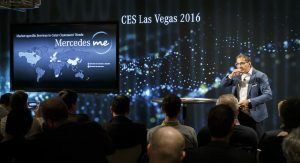 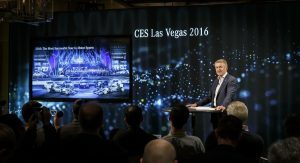 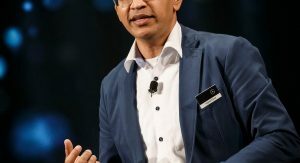 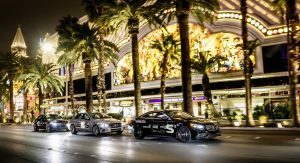 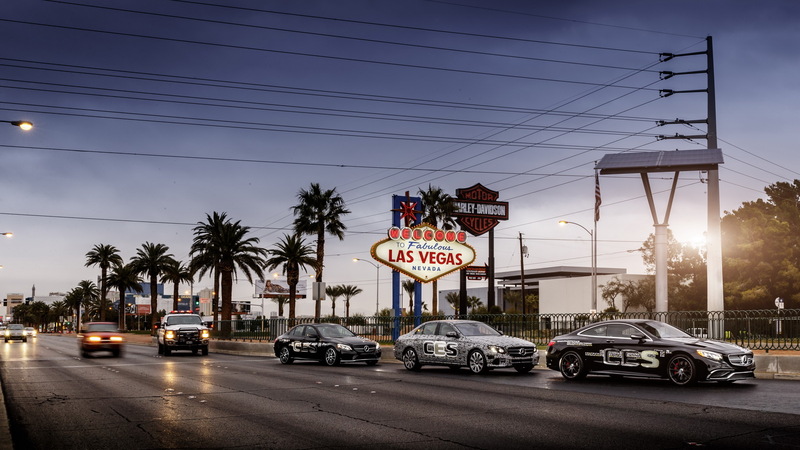 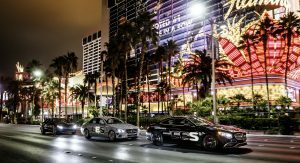 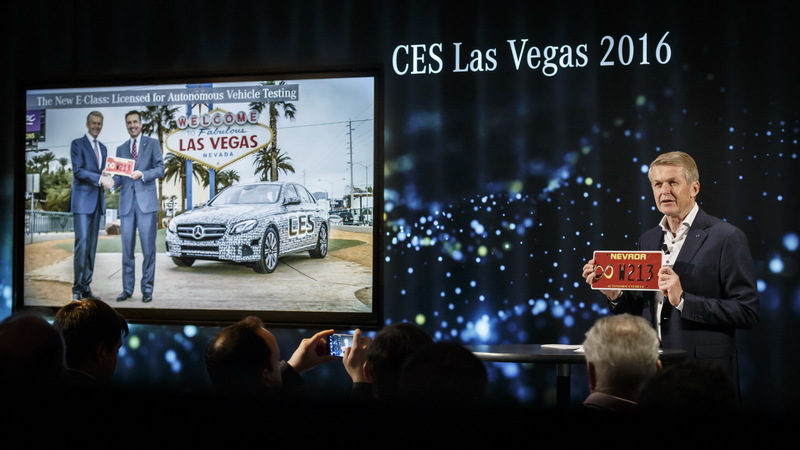 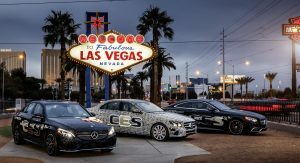 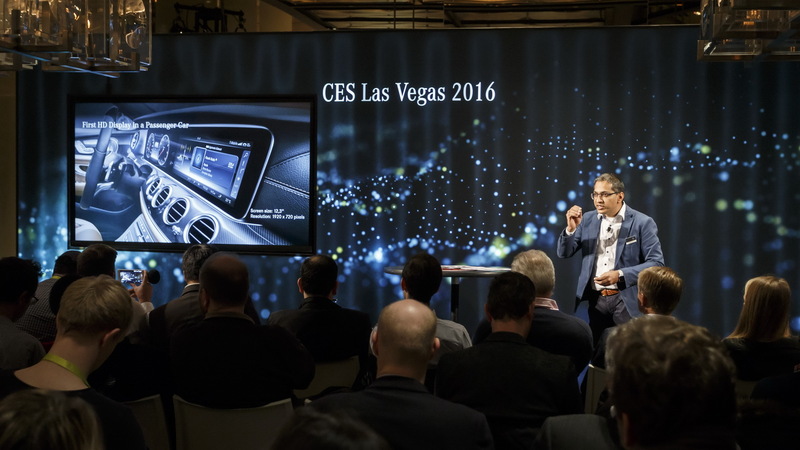 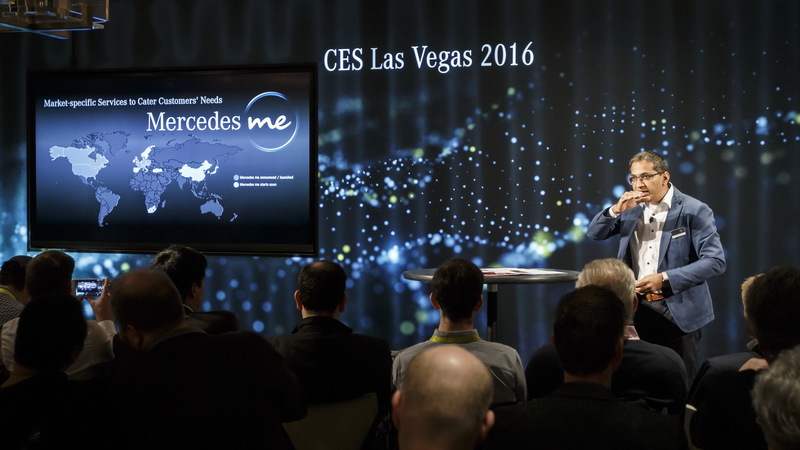 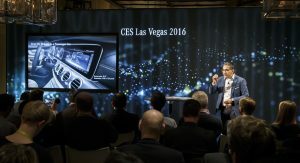 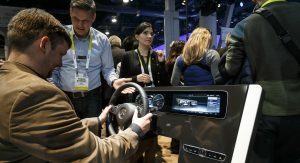 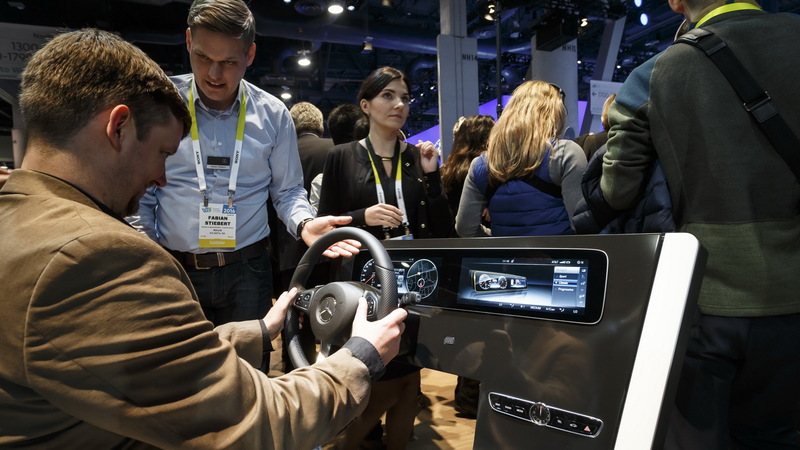 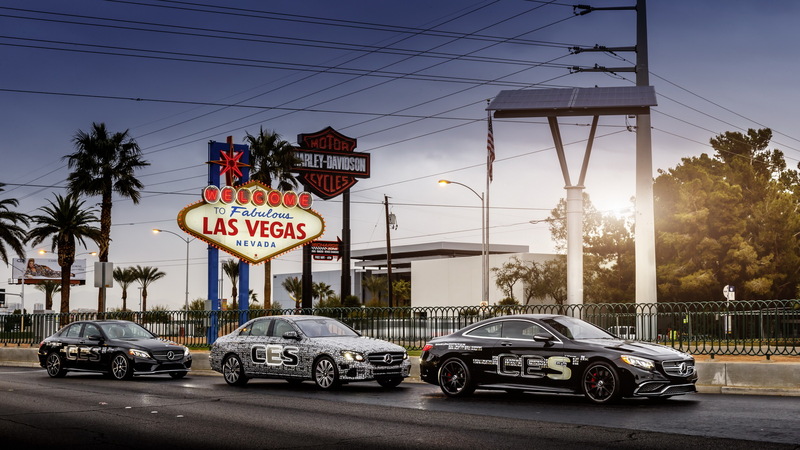 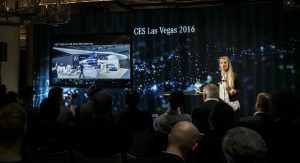 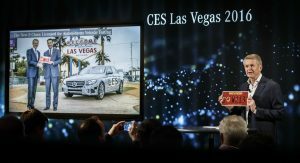 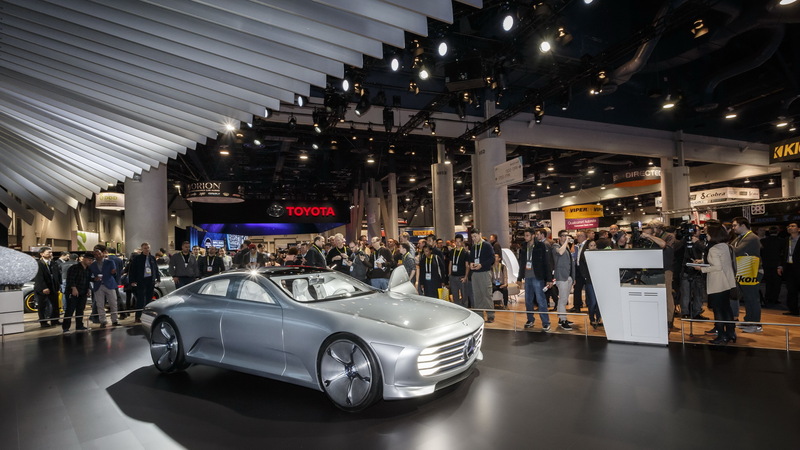 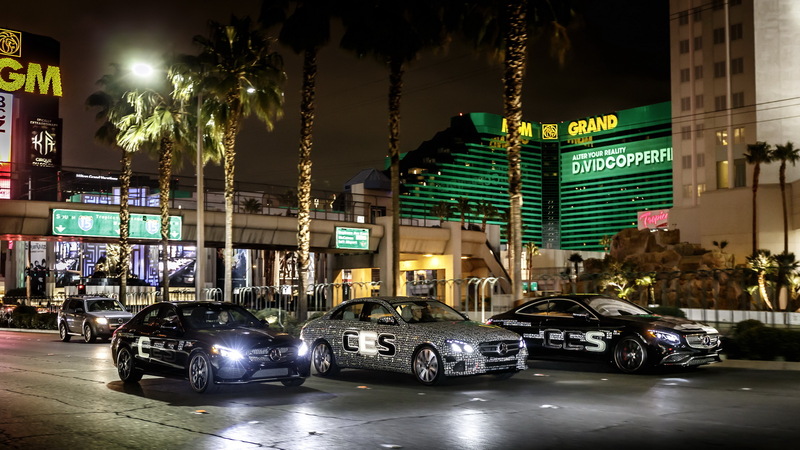 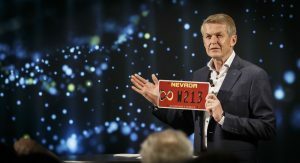 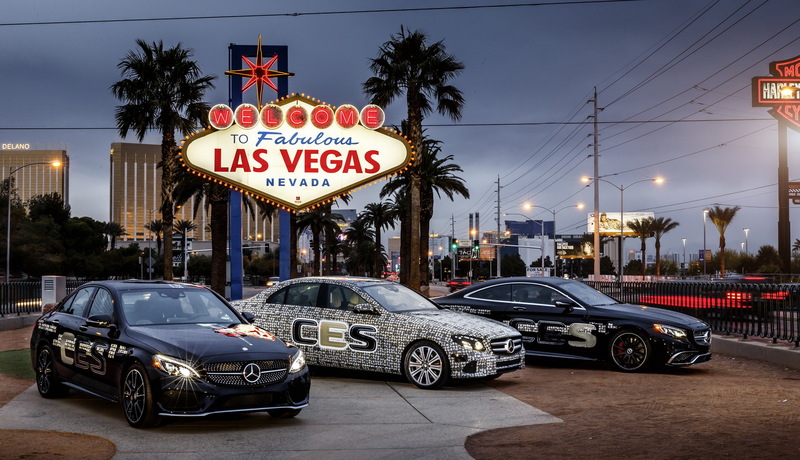 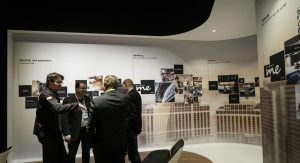 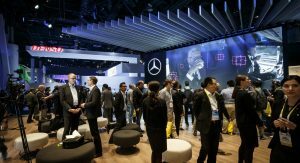 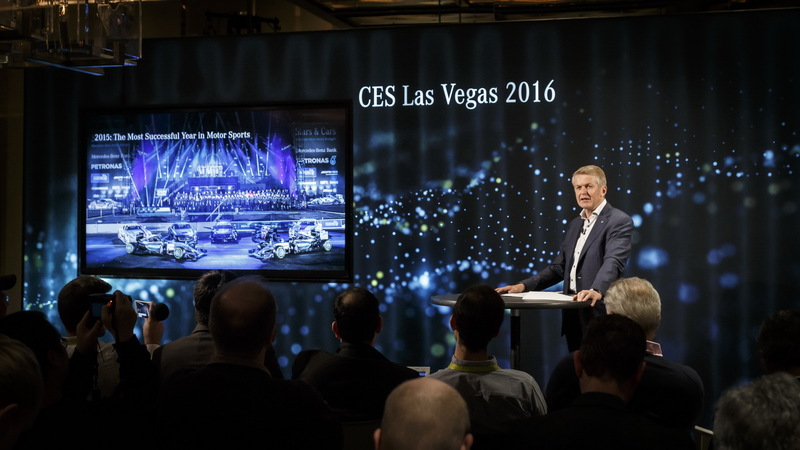 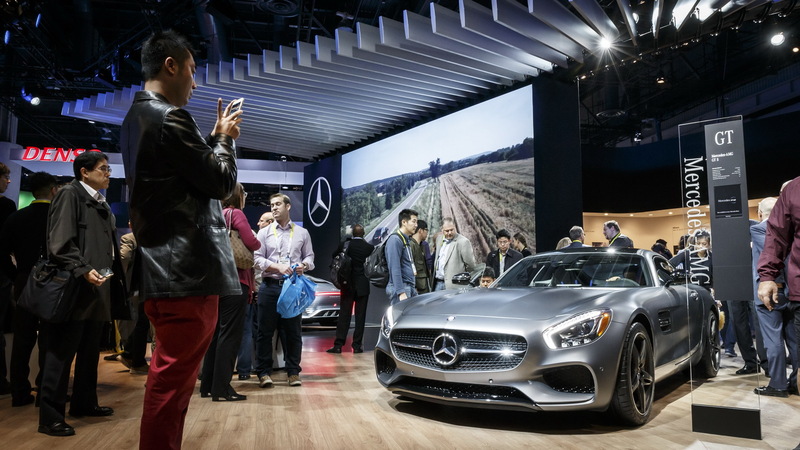 Mercedes-Benz is giving CES visitors their first chance take a closer look at the cabin and features on the brand new E-Class sedan. 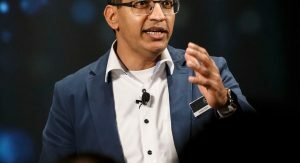 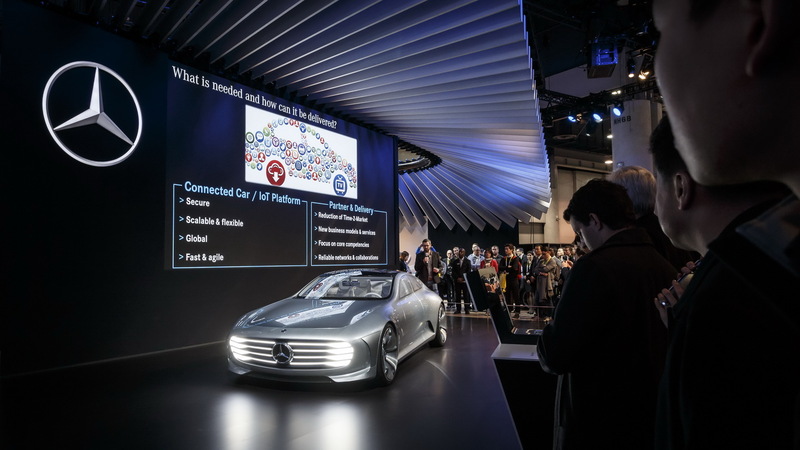 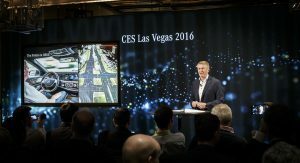 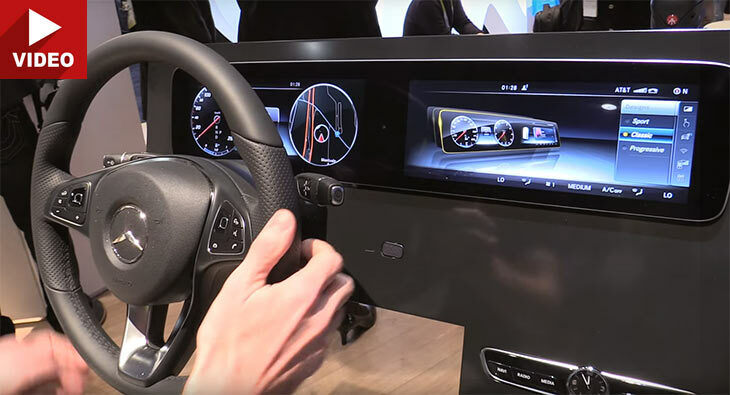 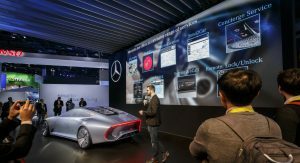 The Germans brought along a working dashboard of the executive model sporting a new infotainment system, which according to the automaker, “marks a milestone of the classic control and display concept into the Digital User Experience“. 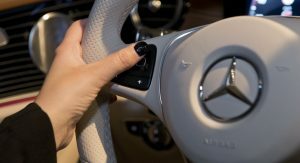 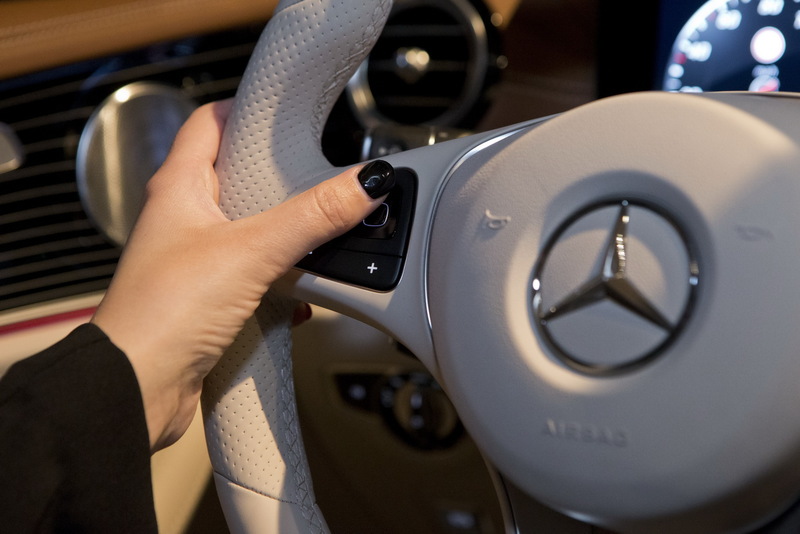 It also features the world’s first touch control on a multi-function steering wheel, added to the controller touchpad, switches and the Linguatronic voice control. 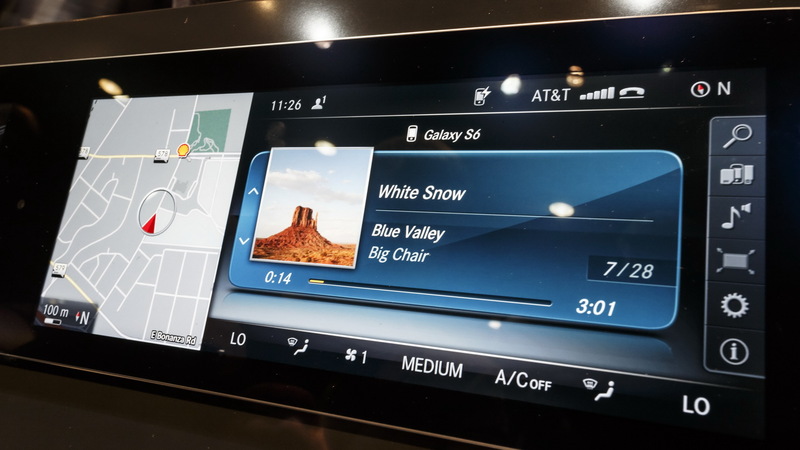 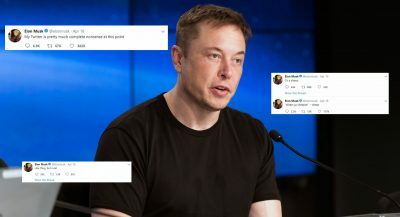 There are two touch sensitive panels, similar to the surface of a smartphone, which support horizontal and vertical swiping movements to scroll through the menus of the instrument cluster and the central display that measure 12.3-inches each in the range-topping versions, while the entry-level will bring an 8.4-inch display and analog dials, separated by a 7-inch color display cluster. 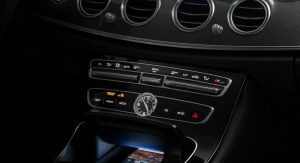 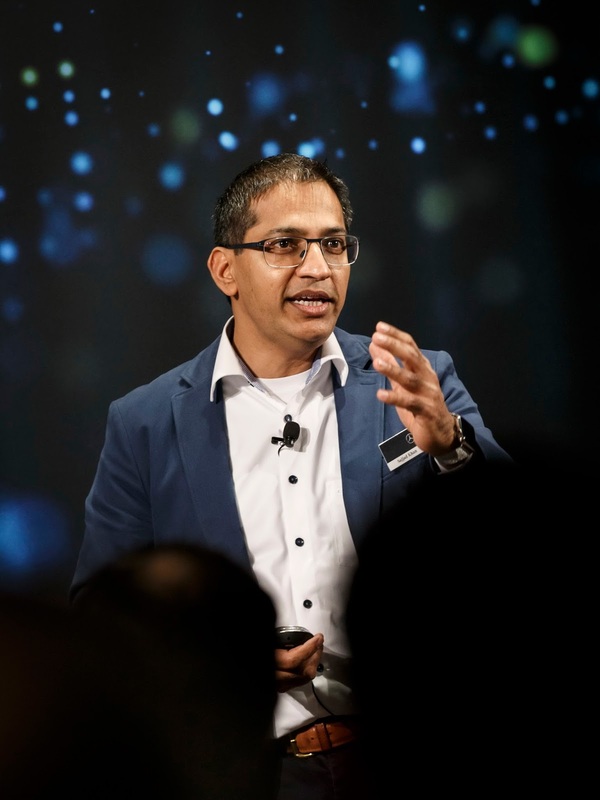 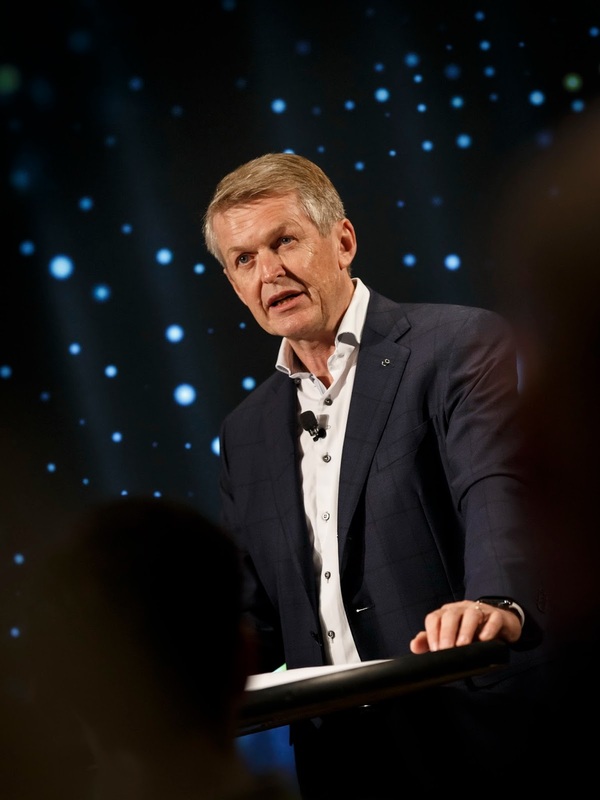 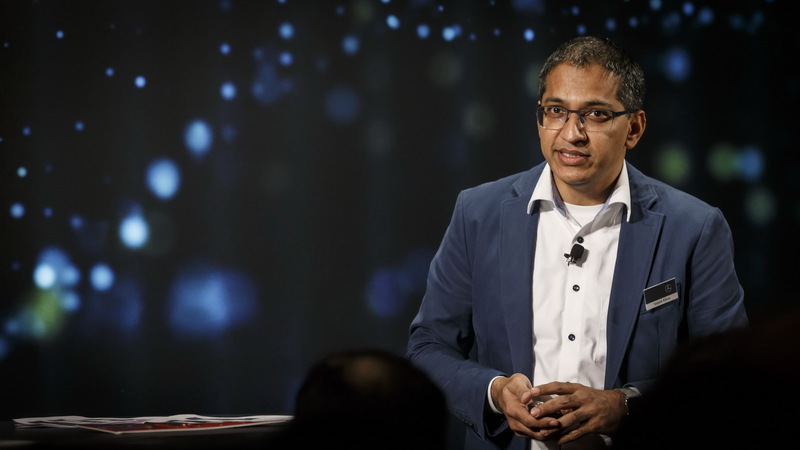 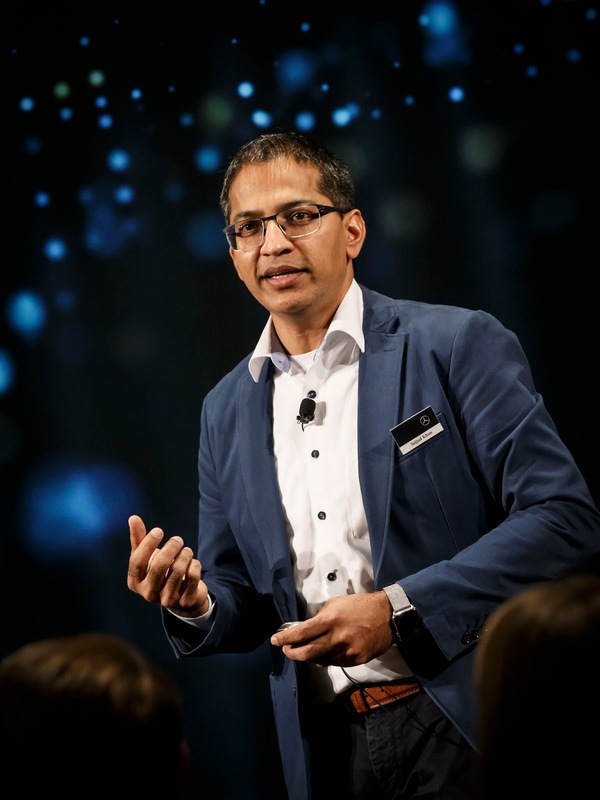 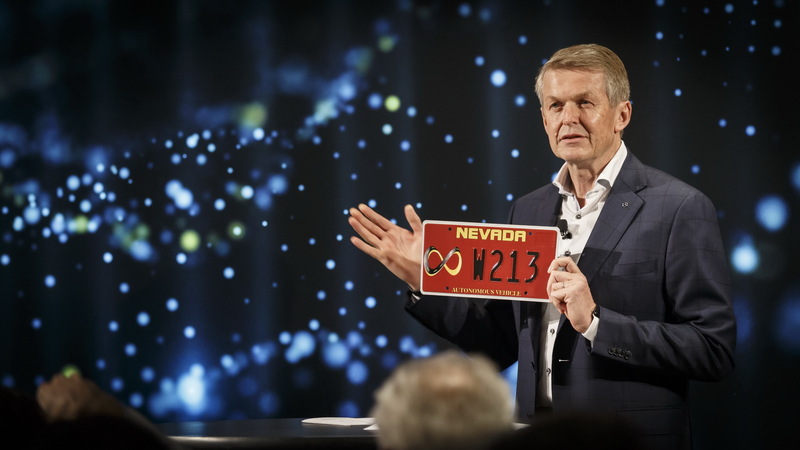 Speaking of the fully digital instrument cluster with its 1920×720 resolution, Mercedes states that the screen design can be selected individually from three different styles that include Classic, Sport and Progressive. 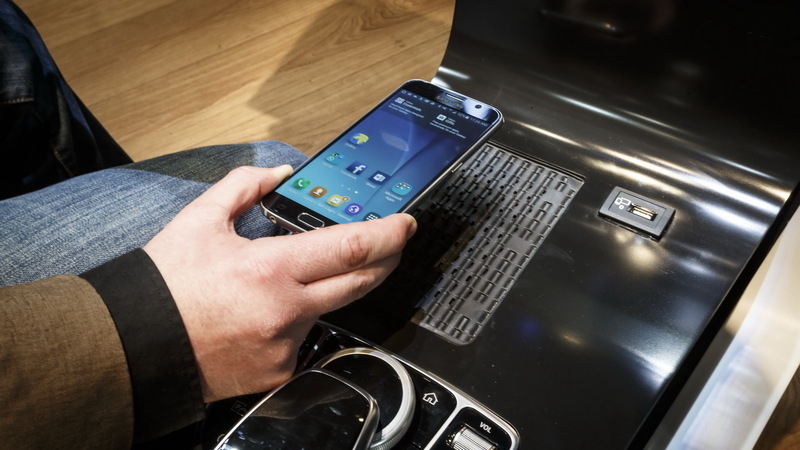 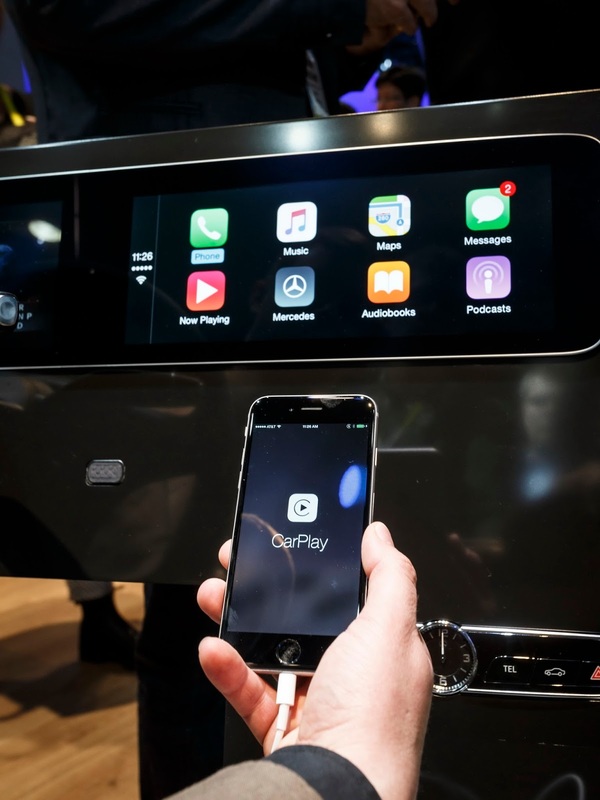 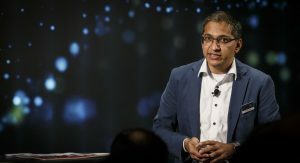 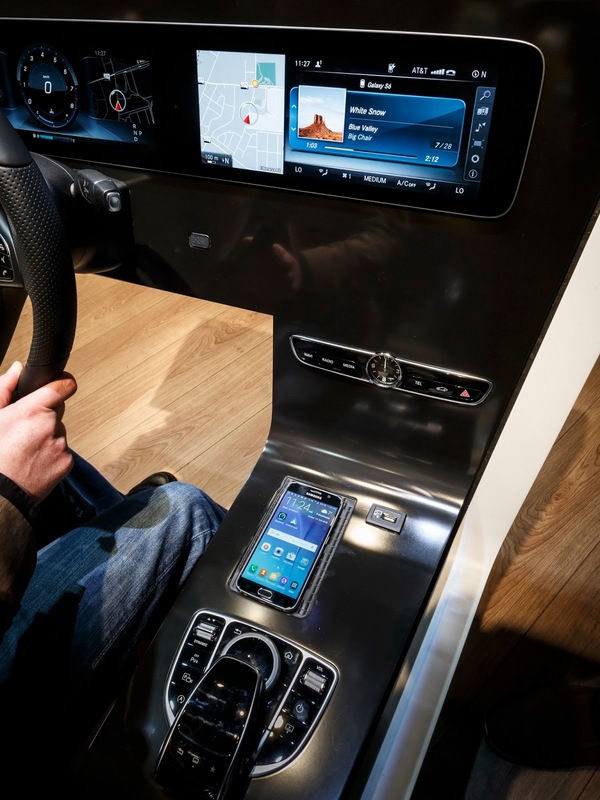 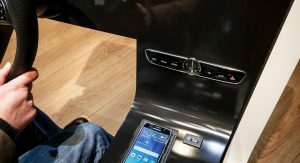 Wireless smartphone charging is available as well, while devices can connect to the multimedia system via NFC (Near Field Communication) and become a digital key for the car, operating features such as locking, unlocking and starting its engine. 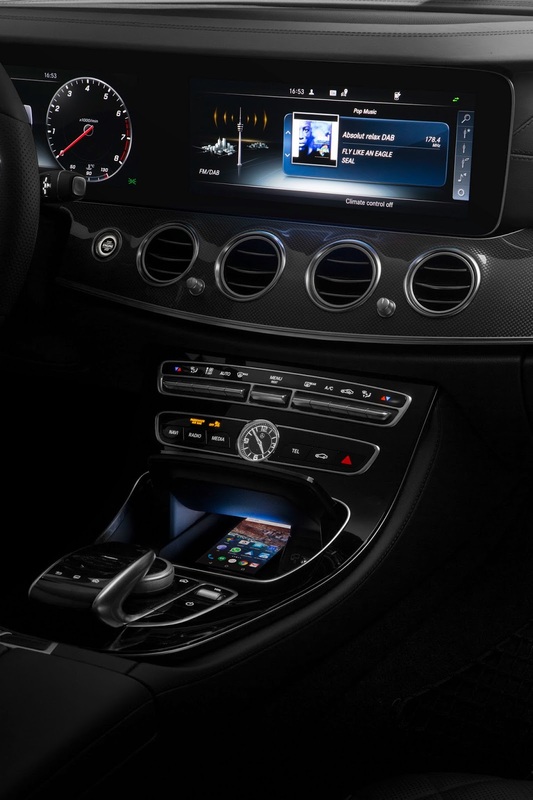 The new E-Class is compatible with Android Auto and Apple CarPlay. 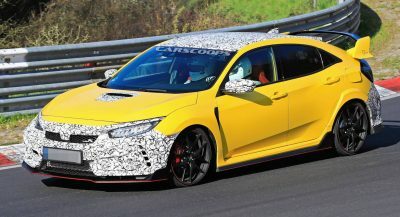 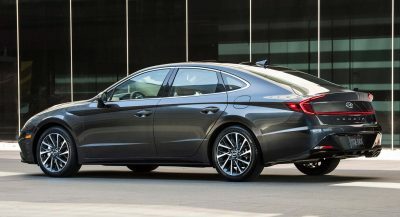 However, if you are hoping to take a closer look at its exterior design too, you will be disappointed because the executive sedan will make its public debut next week, during the 2016 Detroit Auto Show. 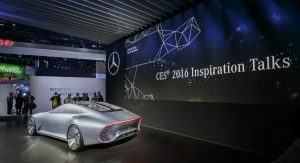 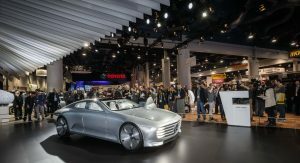 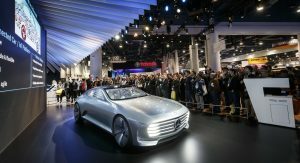 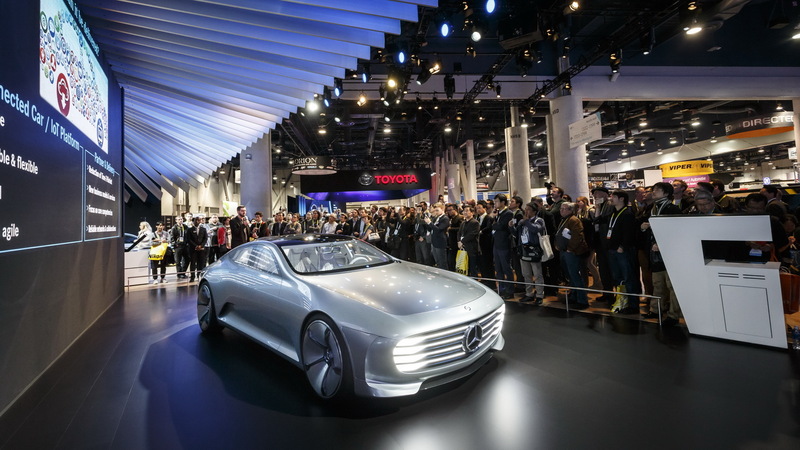 Besides providing a closer look at the new E-Class’ interior, Mercedes-Benz also introduced the “Concept Intelligent Aerodynamic Automobile” in a Las Vegas premiere, which follows its Frankfurt Motor Show debut last fall. 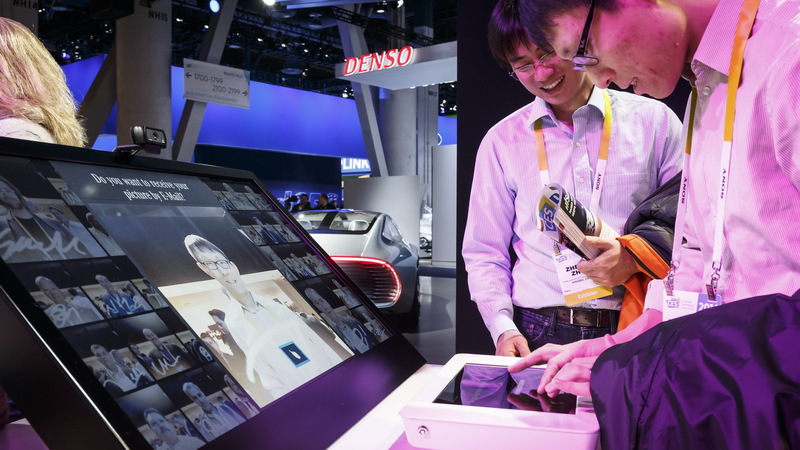 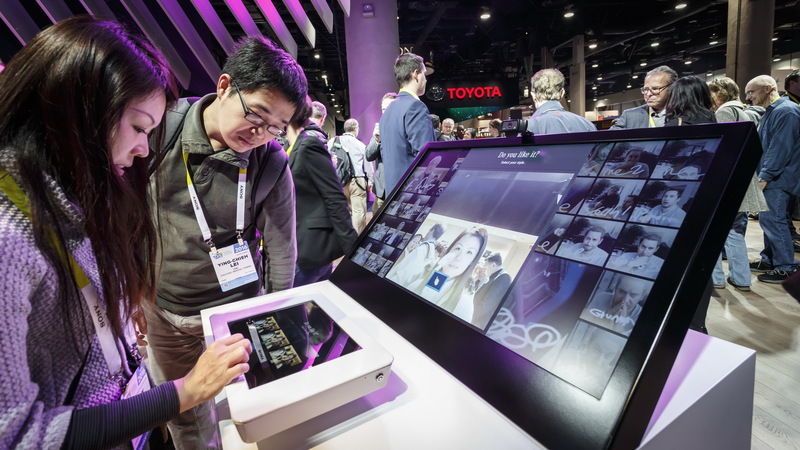 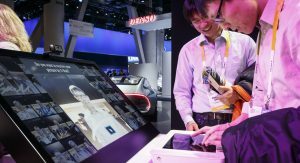 The study provides a glimpse on the future development of the User Experience Design and User Interface, bringing high-end graphics and animations. 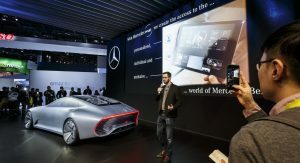 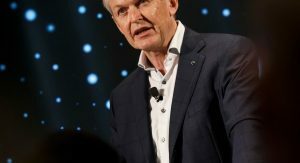 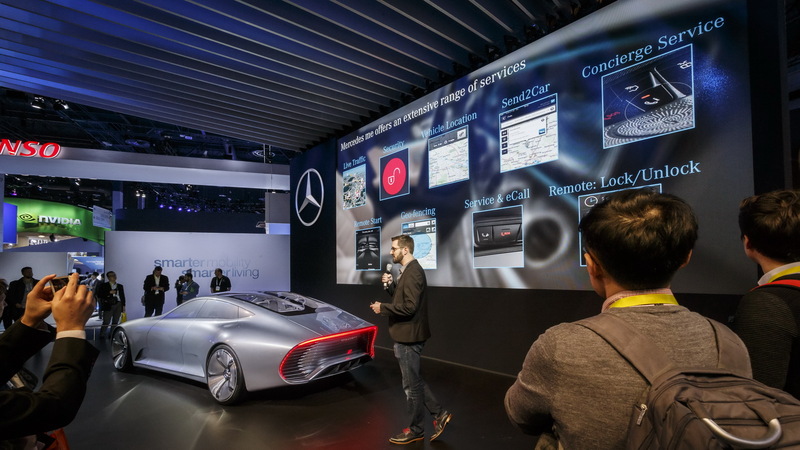 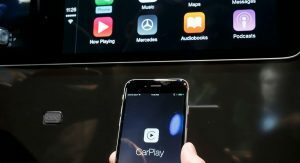 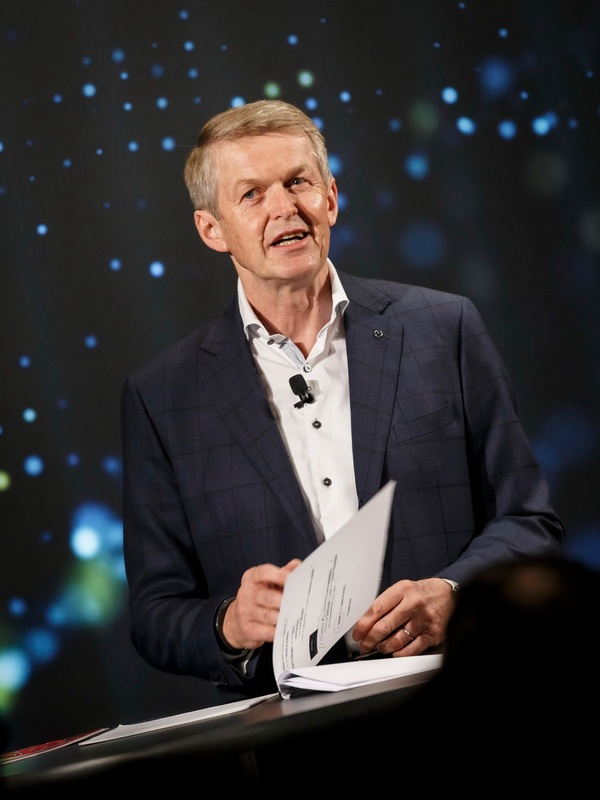 Finally, the Germans showed the latest generation of their Mercedes-Benz Companion App for iPhone and Apple Watch, with Door-to-Door Navigation and a Machine Learning feature to provide a personalized User Experience.